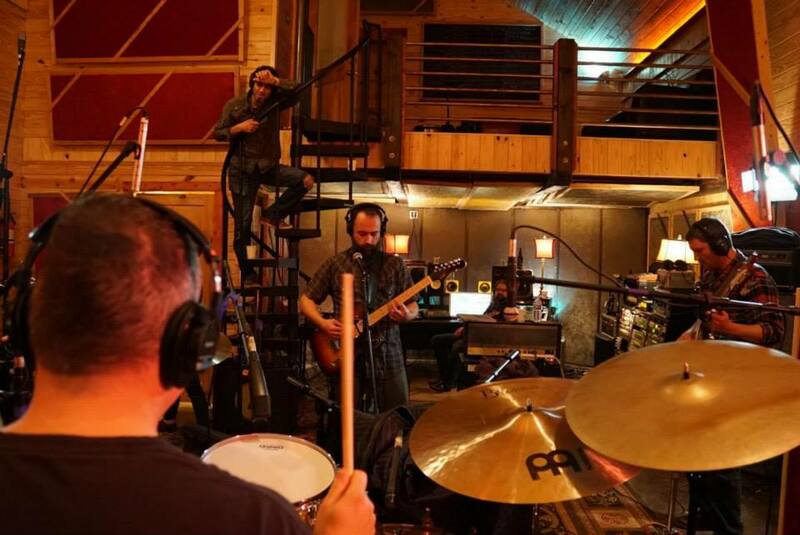 Due October 2, the Maryland group recorded the project at their own studio as well as producer Machine's place in Dripping Springs, Texas. The behind the scenes series titled “The Making Of Psychic Warfare” opens with a three-part first segment, including Creation, Production, And Speculation. Filmed by David Brodsky and My Good Eye: Music Visuals, the footage in segment one presents interviews with the band as they started the pre-production process while the album was being developed in Frederick, MD. The series will include two more installments as Clutch document the recording process when they move to Austin, TX to record at the Machine Shop and then return to Maryland to put the finishing touches on the project. Clutch recently announced US tour dates for the fall that will see the band joined by special guests Corrosion Of Conformity (COC) and The Shrine for shows starting October in Fort Lauderdale, FL on October 3. Prior to the tour’s launch, Clutch will play select festival dates along with a Labor Day weekend show at The Joint in Las Vegas supporting Primus. The band will also be co-headlining with Mastodon on select dates with special guests COC as part of leg 2 of The Missing Link Tour which features full sets by both Clutch and Mastodon.